Volkswagen has given away its future model plans for India, including a wide range of models, from an all-new small car that's still on the drawing board to the super-luxurious Phaeton. The German carmaker is deadly serious about its venture into the market, which it kicked off in November with the launch of the Passat. In the next five years, a slew of models could see VW producing as many as 240,000 units a year in this market by 2012. Key to VW's India plans are to mass-market models that will be produced in large volumes in the company's upcoming factory in Chakan. The first is the sixth-generation Polo (A06) hatchback that is under development and is expected in 2009. The Polo will be positioned in the hatchback segment alongside the Skoda Fabia and Honda Jazz. A sedan version of the Polo is also a possibility that would put it smack into Honda City and Suzuki SX4 territory. The bigger-selling model will be an all-new small car based on the Up! microcar concept that VW revealed in September at the Frankfurt motor show. VW will build a four-door hatchback off this new platform (code named MHB) which, like the Tata super-low-priced car, follows a rear-engine, rear-wheel-drive layout. Dubbed the A000 in VW's platform hierarchy, the new microcar will be built in three different markets of the world from 2010. 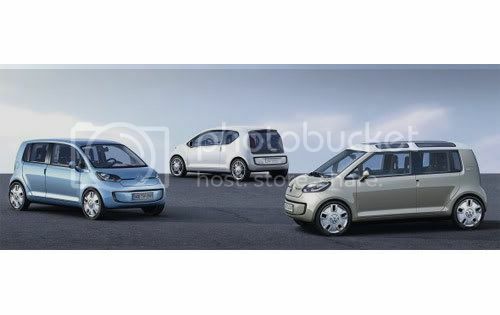 Production of the new microcar in India could begin by 2011. With a length of only 134 inches, the microcar is shorter than a Suzuki Alto, but a longer wheelbase is under development. According to the industry rumour mill, VW has set an aggressive price target of under $7,500, but a lot depends on the level of localization and cost management of the program. VW has been in talks with Indian companies including Bajaj Auto to help develop the car. The next-generation Jetta, which will be spun off the future Golf platform (A6), is expected in India sometime in 2009 soon after its global launch. This three-box sedan will compete with the Honda Civic, Toyota Corolla and Skoda Octavia. All the new Volkswagens will come with state-of-the-art direct-injection petrol engines with a new range of common-rail diesel engines still under development.